Yum!! 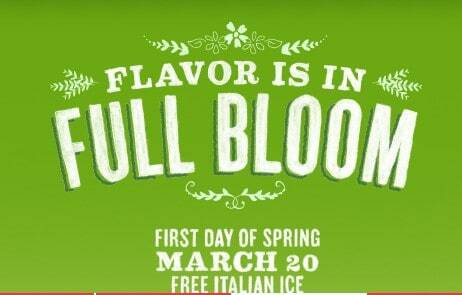 Visit any participating Rita’s location and get a Free Italian ice! This offer is valid on March 20th from noon to 9pm.